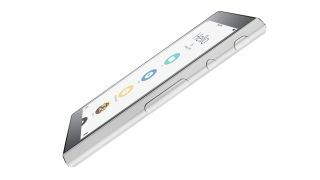 Will the self-titled Super Remote be better than other devices? A new universal remote called the Ray Super Remote aims to do what no other universal remote has done before: offer a hassle-free solution to replace all of your controllers. Multiple remotes are a real problem and it's getting worse too. How many do you have at home? Five, seven, thirty? A solution to create a universal remote control could be somewhat amazing, but no one has done it well yet. What Ray offers is a 4.8-inch diagonal touchscreen with a clear, graphical layout. There will also be apps too, for example Ray has built a Nest app that allows you to control your heating from the controller. The smart thing here is that Wi-Fi, Bluetooth and IR are all supported. This means that devices like Amazon Fire TV and Roku players can be controlled too. There are also some nice integration options with DVRs, but as you might imagine, they support only specific, US models at the moment. There's also no mention of how UK hardware might be supported. But universal remotes have been around for a long time now, and they have never really taken off, so what's the problem? Mainly it's that they don't actually work brilliantly. The biggest problem is how remotes communicate with equipment, via IR. With infra red remotes the signal is one-way, so a remote has no idea if a device is on or off. This means that when you press a button to watch a Blu-ray, it turns on your TV, turns on the Blu-ray player and makes sure the AV receiver is on, and on the right input. But if one of those IR signals doesn't make it to the device, or something is on when it should be off, the whole thing falls apart. There is, actually, a standard for controlling things over a cable, it uses the now ancient RS232 system. It's old, sure, but remote commands don't take much data and using cables allows bidirectional information exchange. A TV can explain if it's on or off, and react on commands far better. Sadly, RS232 control is usually only found on very specific - and usually expensive - hardware. Ray is slated to cost $200 (£130, $256 AUD) which seems pretty reasonable if it can deliver on its promises.